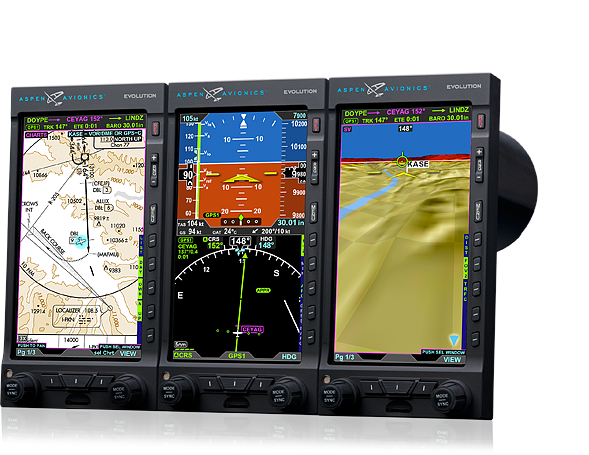 Skye Avionics brings you the Aspen Avionics Evolution Pro 1000 PFD (Primary Flight Display) EFIS display technology which is a perfect fit for aircraft panels, with robust AHRS features and the latest in solid-state technology. Unparalleled reliability and accuracy make every mission safer. 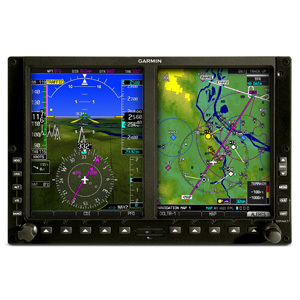 Breakthrough pricing makes EFIS display technology available for a fraction of the cost of traditional EFIS systems. 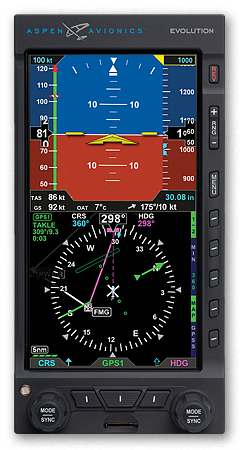 The Aspen Avionics PFD Pro 1000 delivers enhanced safety, reduced pilot workload and the flexibility to expand as your needs grow. 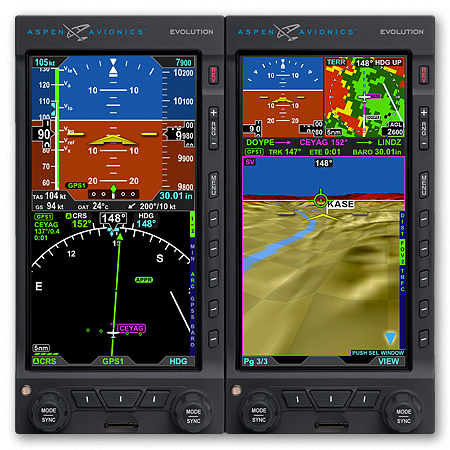 The Pro 1000 PFD is part of the Evolution Flight Display series, which can provide full PFD redundancy and many additional capabilities. 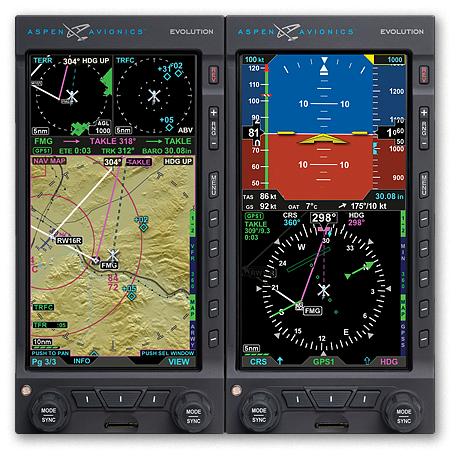 The innovative Evolution form factor installs easily in existing helicopter instrument panels and eliminates bulky remote boxes and heavy wiring. 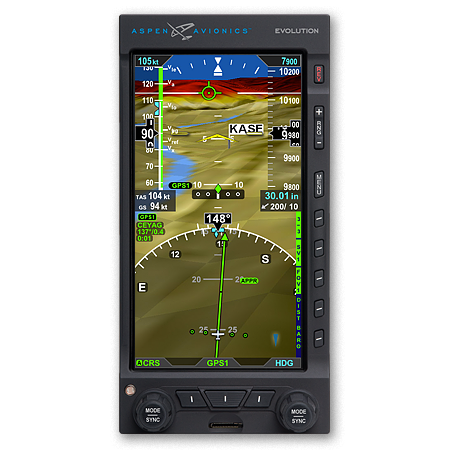 The Aspen Avionics Pro 1000 is the perfect addition to expand on your existing avionics and retrofit your flight instruments, or for a complete flight panel and avionics overhaul. 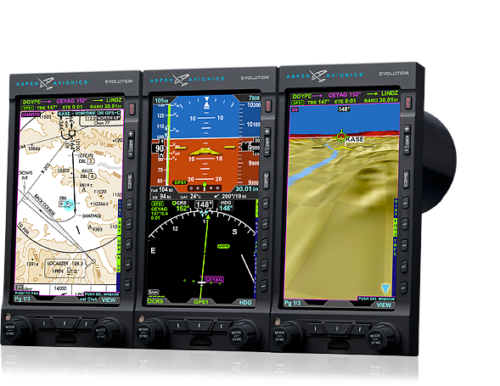 For a custom design and solution the Skye Avionics Team can help you navigate all the options and find a solution that fits your needs and budget. 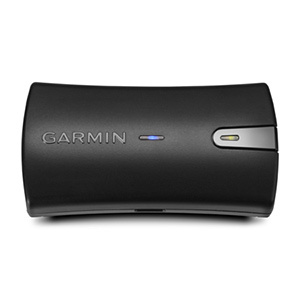 (1) With compatible GPS navigators. The Evolution flight displays are innovative, modular system components that slide into existing 3-inch instrument holes in any instrument panel. A universal bracket provides easy surface mounting. The system can optionally be flush mounted. This unique design dramatically reduces installation time and cost. The modular Evolution platform allows for easy expansion. 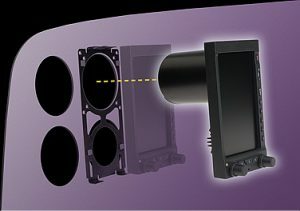 The integrated displays mount side-by-side in one, two, and three display configurations for supreme flexibility and upgradability. Max Operating Altitude (unpress.) 35,000 ft.